The children in our school in Guacamayal, Colombia, had a wonderful Christmas celebration thanks to the generosity of local folk who had heard about the Stand by Me school. On the 22nd December our director took a team of Colombian volunteers bearing gifts to Guacamayal, to visit the children in the Centro Educativo Cristiano School. 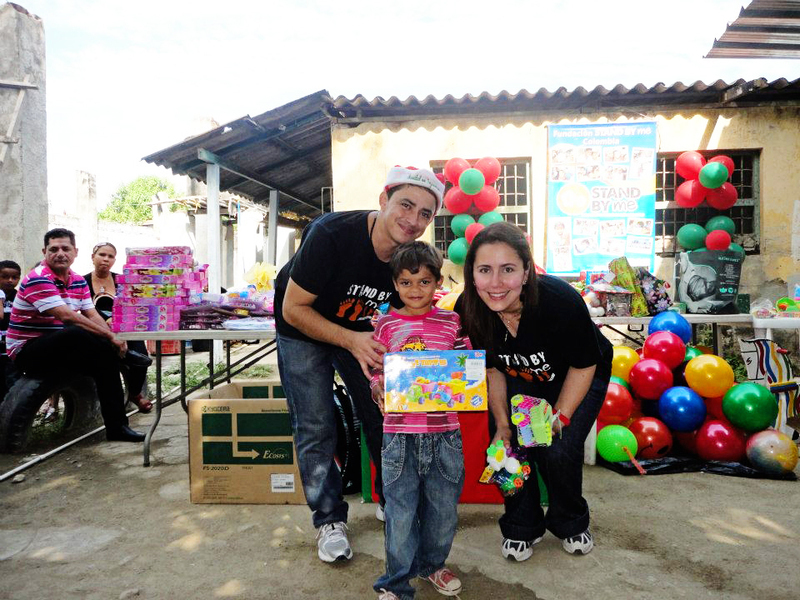 The team included local business workers who wanted to offer toys to the children for Christmas. It was a very special time for the children and the adults, as the team had prepared lots of fun activities for the kids to enjoy. There was a lot of singing and a time of prayer to give thanks to all those who had helped to make the Christmas party such a memorable occasion, and to remember that God sent his only son as a special gift of love. The party was marked with a celebratory snack of Christmas cake and fizzy pop for each of the children, and they were each given a toy donated by the team as a Christmas present. For many of the children, this may be the first present they have ever received. Many of the families in Guacamayal live in block built huts, with two rooms to house many generations. They have no heating, no hot water and more often than not, they go without their daily food. For these children, regular meals and gifts from their school are treasured treats. Our child sponsorship programme ensures the children are able to attend school, have regular meals and medical checks and gives them the stability of knowing they are provided for. If you would like to be part of a child’s life in Colombia, or in our other projects around the world, consider sponsoring a child today from just £20 per month.